How they work –When an electronic drum pad is struck, a change is triggered in the embedded transducer (piezo). The resulting signals are transmitted to o the drum module and are translated into digital waveforms, which produce the desired percussion sound assigned to a particular pad. As a drummer that’s all you need to know really. However over the past few years technology has turned electronic drums into serious instruments that impress even the most discerning of drummers. The Early Days – Early electronic drums gave only an approximation of the sound of acoustic drums, as there were often technical issues with triggering, as well as musical issues such as poor dynamics and tonal subtlety. 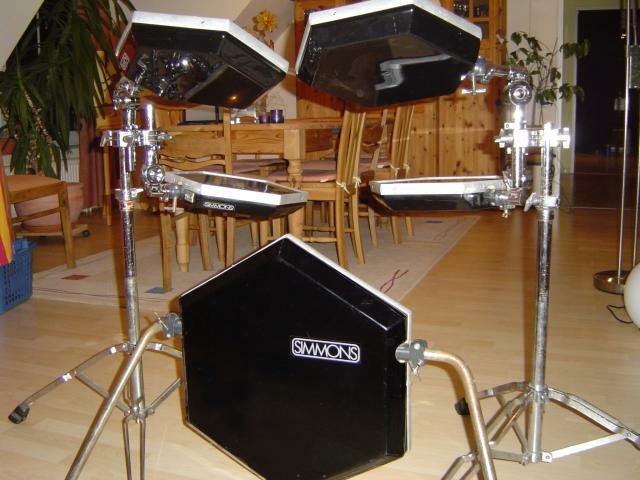 Consequently, the early electronic drum sets such as Simmons and Syn drums, were often used for effects largely in disco genres in which the drums were usually expected to play rigid patterns and were little more than early drum machines. Simmons however, addressed these problems and produced usable kits that became popular with many of the days top drummers and still has a sizable fan base today. The ability to assign different sounds to any given pad makes for enormous flexibility giving the electronic drummer unlimited potential for configuring different kits. 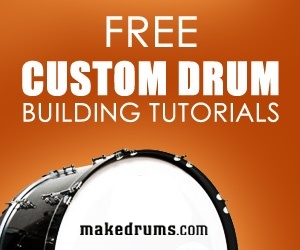 Today most acoustic kits can be replicated and are practically indistinguishable from the “real McCoy” Additionally, electronic drummers can sample other drums or non-percussive sounds and use them creatively, no more is the drummer to be regarded as just the tub thumper at the back. Many see this as a great advantage over acoustic drums, as one can have a jazz, funk, rock, reggae, orchestral drum set by merely changing the kit selector switch on the module. Kits by Roland, Ddrum and Yamaha have addressed many of the downfalls of early electronic drums. 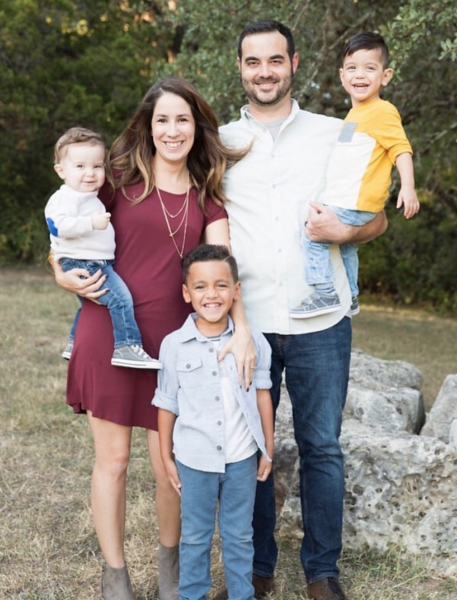 While each of these manufacturers have entry-level units, the professional kits are geared toward creating a sound and playing experience which is nearly indistinguishable from a quality acoustic kit. Mesh heads are replacing the irritating rubber pads on most top kits and metal cymbals are also available from companies like Smartrigger. 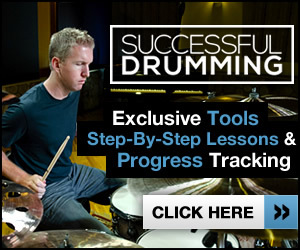 Examples include the Yamaha DTXtreme IIS, the DDrum4SE and Roland’s TD-12 and TD-20 Vdrums. Typically, these high-end kits are equipped with:high quality digital samples offering 24 bit samples of actual percussion sounds with hundreds of samples from which to choose.Positional sensing and dynamic impact detection – detects which area of the drum head is hit providing a sample representing the strike on an acoustic head. Additionally, the volume and tone of the strike is dependent on where and how hard you hit it. Multiple triggers– Snares and Toms have impact zones for both the head and the rim, allowing for rim and cross stick Cymbals also have multiple zones for edge, bow and bell strikes. Realistic Hi-Hats– The latest hi-hat controllers produce open and closed sounds with some models offering variations in-between giving the drummer very realistic playing options. An electronic module within the foot controller detects the movement and provides variations of open, partially open, and closed samples as played with different sounds also assigned to a foot close, and a quick close-open. Multiple audio outputs– For each percussion group (ie. Toms, Cymbals, etc) allowing independent mixing (like the multiple miking of an acoustic kit). Additionally, these groups have independent faders. All this comes at a price. To get the same tonal quality as a good acoustic kit you are likely to pay double the acoustic kits cost but hey look at the fun and possibilities you can have not to mention the fact that you won’t have a fall out with your neighbors either.